Here comes another Rose Watercolor Painting, this time a purple rose. For the purple Rose Watercolor Painting I used a lot of Purple Magenta, a beautiful colour from Schmincke, but I also used my favorite Permanent Rose from Winsor and Newton, some red and yellows and I also added some permanent orange colour to the deepest areas in this rose painting. 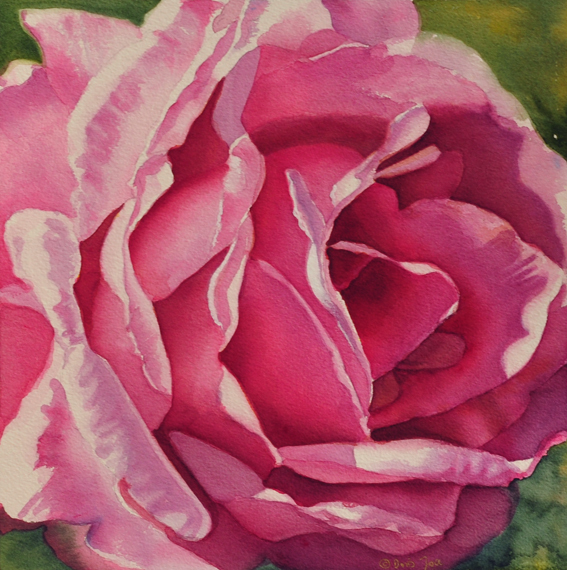 Would you like to learn how to create your own realistic Rose Watercolor Painting? 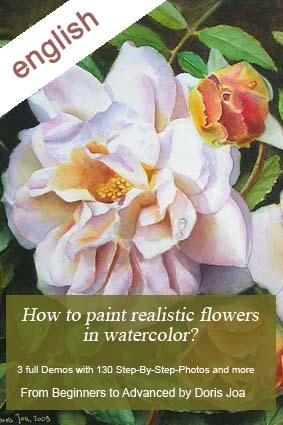 Then maybe my Ebook is the answer for you as I show you all the secrets which you need to know to create your own realistic rose and flower paintings. I show you all the steps which I use by myself. in english language – also available in german language.